Harold Arthur Fleming, 80, of Caldwell, ID, formerly of Kansas, passed away on Thursday, Sept. 6, 2018 at Lenity Senior Living. 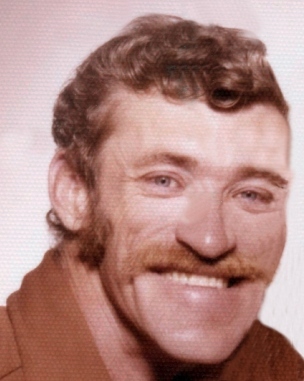 Harold Arthur Fleming was born on June 3, 1938 to Harold Andrew and Margaret Rosaline (Hasker) Fleming in Hedville, KS. He graduated from Sacred Heart High School in 1958. On July 21, 1973 he married Janet Woolverton. He was a Military Police Officer in the Army National Guard before working at the Hedville Grain Elevator, several other jobs in between and finally the Brookville Hotel. He moved from Brookville to Park City in 1997, where he helped take care of his mother. Later, he moved to Idaho with his daughter and family. He loved riding his bike, messing around the garden, and watching his grandkids grow up. His grandkids were his pride and joy. Grateful for having shared in Harold’s life: his daughter, April (Michael) Griffith of Caldwell, ID; three grandchildren, John, Michael and Jesse; two sisters, Zoe (Donald) Moore of Wichita, KS, and Peggy (Neil) Fitzpatrick of St. Petersburgh, FL; a sister-in-law, Jill (Steve) Westendorf of Sturgis, SD; his nieces, Delia, Deneen, Donna and Maureen, nephew Dennis, their families, and his expanded Idaho family. His family is beholden for the wonderful support and kindness from Abode Hospice over the course of the last several months and the beautiful staff at Lenity during the end of his life. Harold was preceded in death by his wife (ex), Janet (2017); his parents; and many other beloved relatives. A reception for family and friends will be held on Sat., Sept. 15, 12:30pm, at 716 N. Apricot Place, Nampa, ID 83687. Arrangements are under the direction of Relyea Funeral Chapel in Boise, ID.